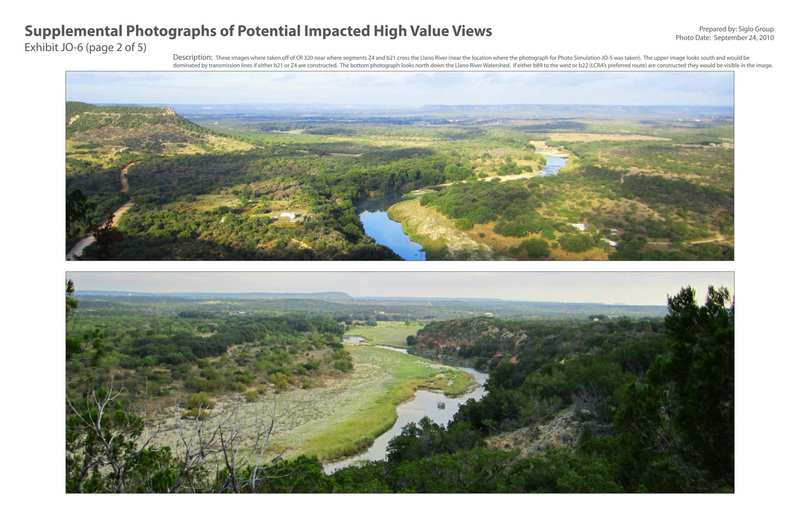 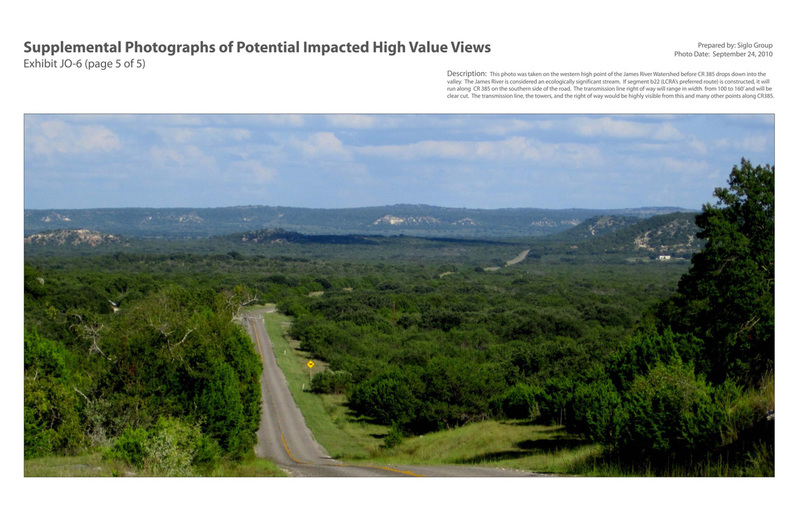 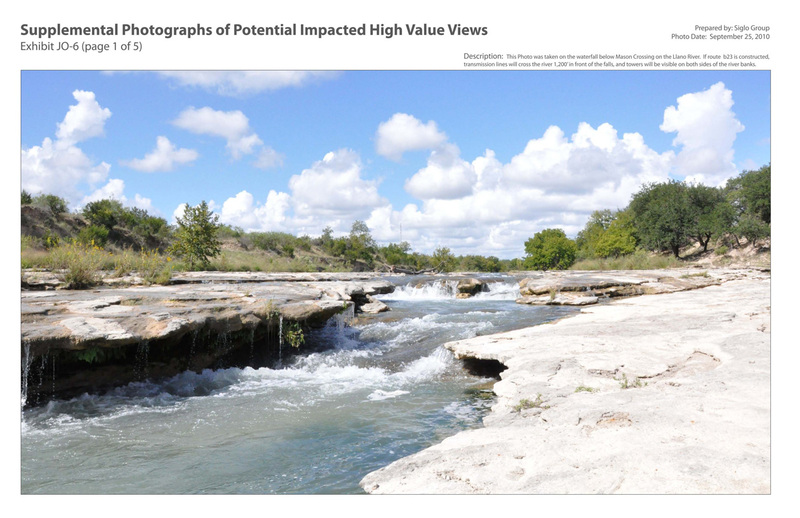 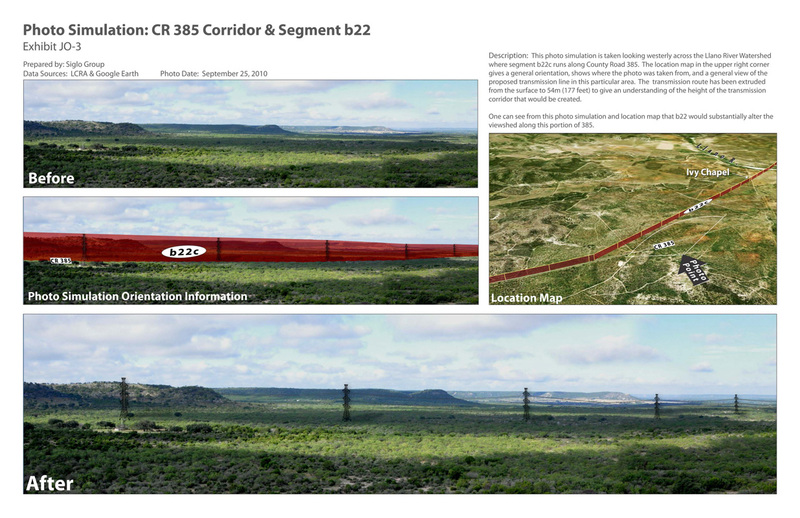 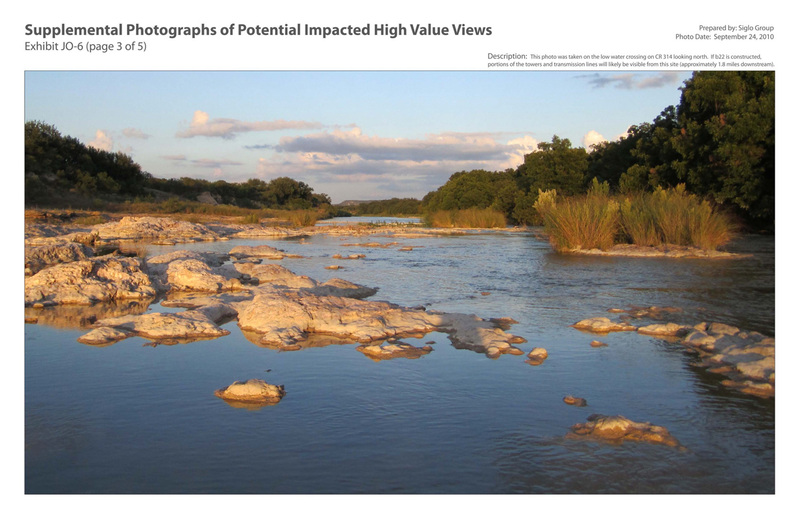 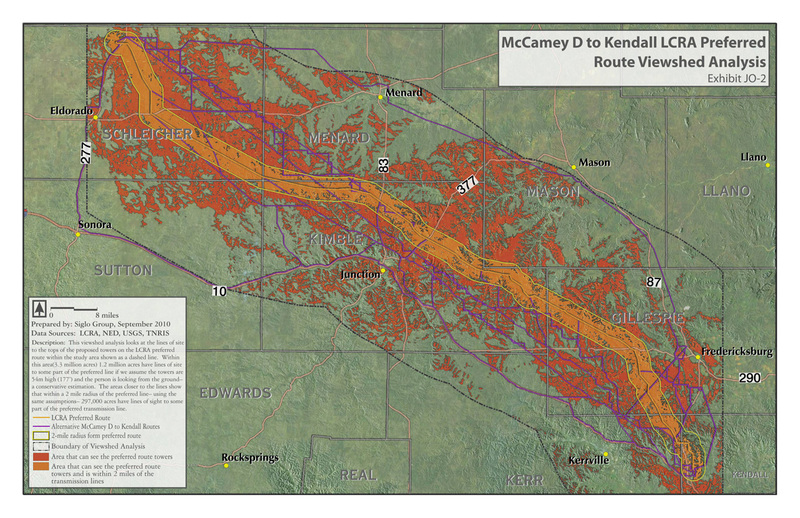 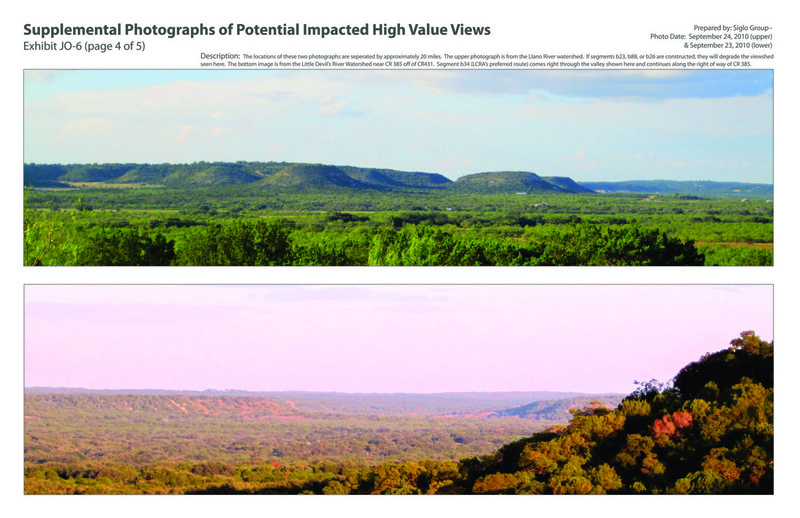 For the Clear View Alliance, Siglo showed how the proposed 134-mile “McCamey D to Kendall” CREZ transmission line would impact Hill Country views, using spatial analysis and 3D modeling. 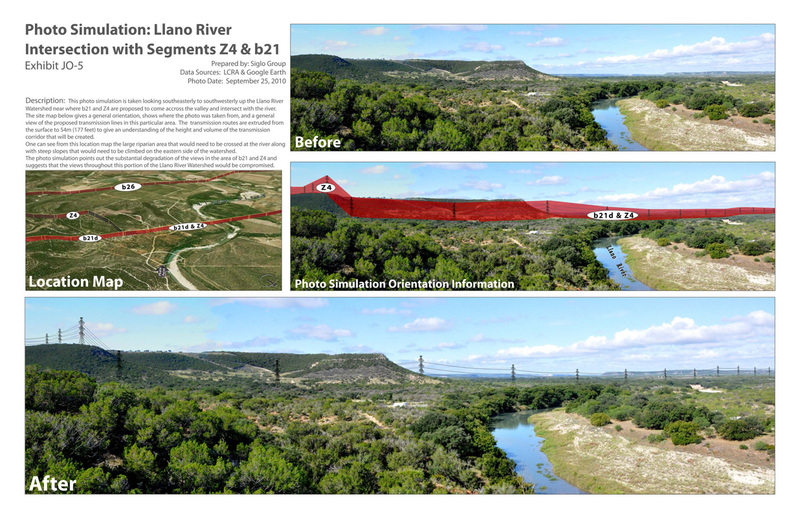 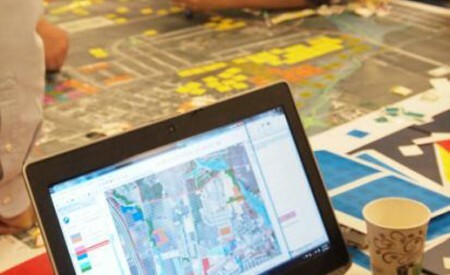 Siglo’s Principal Jonathan Ogren was an expert witness in the largest intervention before the Texas Public Utility Commission in history, providing evidence that contributed to a favorable outcome for the client. 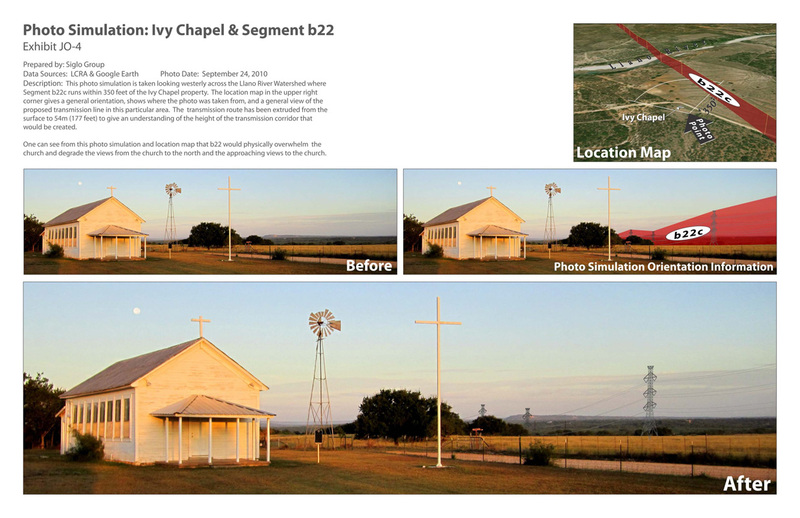 The exhibits shown here were part of the evidence presented and have been entered into the public record.